Truck accidents represent the greatest danger on our highways today. The sheer size of these vehicles — some carrying a gross weight of 80,000 pounds — makes collisions involving tractor-trailers extremely serious and the consequences often catastrophic. According to the National Highway Traffic Safety Administration, over 100,000 Americans suffer serious personal injuries as a result of truck accidents each year. In Florida alone, over 6,000 accidents a year are attributed to truck accidents. At Heintz & Becker, we understand the consequences of trucking accidents and can help you secure the compensation you are owed. Our top-rated semi-truck and trucking accident attorneys are committed to holding negligent truck drivers and trucking companies accountable for their actions. When these parties cut corners and put your safety at risk, our firm is here to help. We have the experience and the resources necessary to expertly handle your catastrophic personal injury or wrongful death claim. Contact a Bradenton and Sarasota-area semi-truck accident attorney today to schedule a free consultation. Truck accidents can result from many possible causes. In many cases, driver error or negligence is the principle cause of the collision. If a truck accident involves a driver who is inexperienced or inadequately trained, aggressive and careless on the road, intoxicated or overly fatigued, that driver (and the company that he or she works for) may be held legally accountable. In other instances, defective tires, brakes or other defective products may be responsible. Many trucking accidents result from driver fatigue. Although the dangers of driver fatigue have long been known, trucking companies continue to downplay its role in collisions. Our trucking lawyers are familiar with the federal regulations that apply to crashes involving driver fatigue. 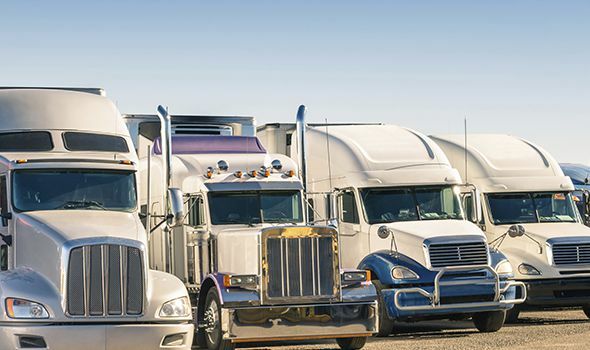 Truck accident lawsuits involving driver fatigue usually focus on whether the driver and carrier complied with regulations limiting the hours a driver can work. On July 1, 2013, new Federal Motor Carrier Safety Administration regulations went into effect, changing the nation’s hours of service limit to 15 hours a day, including 10 hours behind the wheel. To get around these regulations, many truckers falsify the actual number of hours they work by falsifying their logbook records. After a truck accident, you may feel overwhelmed by medical and legal concerns. Hiring an experienced semi-truck and trucking accident attorney is the best way to ensure that the proper steps are taken after a collision. If possible, our truck accident lawyers should be consulted even before any statements are given or medical releases are signed, as this is the only way to ensure that your rights are fully protected after the accident. At Heintz & Becker, our truck accident attorneys have helped many past clients navigate complicated truck accident litigation processes. We can handle your legal claim, allowing you to focus on recovery. We will use our wealth of resources to investigate your truck accident and pursue full and fair compensation to cover your expenses. Trucking companies and insurance companies are adept at finding ways to avoid paying your claim. If you or a loved one has been injured or killed in a semi-truck accident, let us help. We can evaluate your case and help you understand your options. To talk to a truck accident attorney about your case, call our firm at 941-748-2916.